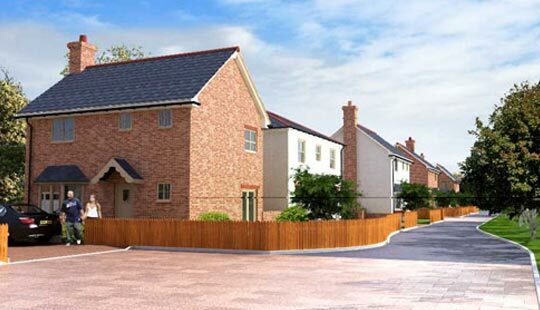 A residential development at Talbot Gardens, Ellesmere which comprises of eight detached three and four bedroom homes. J-Ross Developments Ltd redeveloped a former caravan park, claimed as a windfall residential site, adjacent to the town centre of Ellesmere, to create a range of high quality three and four bedroom, detached, residential homes. Specialist materials were used to ensure that all houses fitted in harmoniously with the surrounding conservation area. There was extensive pre-application planning and conservation area negotiations in the initial stage. This involved intrusive archaeological investigations in response to the county’s archaeologists detailed brief. A culverted watercourse was diverted to accommodate the development and a new pumping station and rising main was constructed to serve the development.